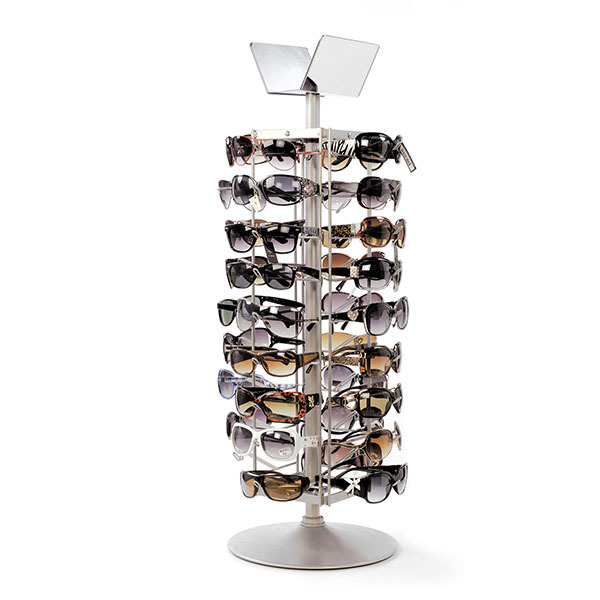 This highly affordable eyewear Counter Spinner holds up to 36 sunglasses, optical frames or reading glasses. A silver frame with a glossy black base and top. 2-sided acrylic mirror. Knock-down design.